It’s about trying not to sound like an old people’s home. It’s about not being embarrassed by the 80s. And it’s about “releasing Morten Harket’s qualities”. Here, a-ha put the finger on their own pulse in 2009. COLOGNE (Dagbladet): A national pride. An export article over many years. Music video pioneers. Teenage idols. A big influence on a whole generation who grew up in the 80s. The stronghold of three big egos. And featuring a frontman who is likely to get entangled in intricate, improvised philosophical musings as soon as he gets a microphone in front of him. These are all big parts of the image that’s been created – and continually featured – of a-ha in the public over the last 25 years. It’s no overstatement to say that a-ha’s music has been under-reported and under-analyzed during the same period of time. But why? Is it because it’s always much funnier to report all the weird statements Morten Harket reels off in interview settings? Is it because the music has become a secondary thing, something we’re taking slightly for granted in our worshipping of a-ha as celebrities, our only real pop stars ever? Have we quite simply forgotten to ask questions about the meaning behind the music, but rather been more interested in spelt bread diets, Harket-biceps, colon cleansings, Furuholmen’s Coldplay-friendship and the Waaktaar-Savoy family’s fancy Manhattan apartment? On the upcoming album Foot Of The Mountain something is finally happening in a-ha’s music again. 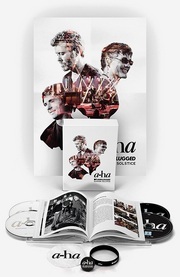 You can hear a battle going on between the mature, majestic adult pop version of a-ha which has been established since the comeback in 2000 (represented here by the single “Foot Of The Mountain”, among others) and another version of a-ha who are once again playing with the synth pop heritage from their own, early beginnings (“Riding The Crest”, “What There Is”). A battle between a comfortable, friendly recognizability and a willingness to stir up this established drowsiness. Foot Of The Mountain represents a confrontation with one era, and a reconciliation with another era. But why now? And who has been pressing on for these changes to happen? If we’re going to consider a-ha a cultural pride of the nation, this is a very interesting musical change. And they – the songwriters Paul Waaktaar-Savoy and Magne Furuholmen – will get a chance to talk about it, without any interference, here and now. Completely void of improvised philosophical musings. – Why the return to the synths? Magne Furuholmen: – This is something I have really wanted to do. Intelligent synthpop, atmospheric and relevant – this was a sound we helped create. But I have been fighting really hard for it. “It was so embarrassing back then, why do it again?” But it was everything surrounding it that was embarassing, not the music itself. Paul Waaktaar-Savoy: – We all wanted to do it, we were ready for something more technological this time. But for me it was easier said than done. The sound can easily become banal, more Kylie Minogue than Depeche Mode. I dug out the old synths and tried to set them up, but ended up seeking help with the programming part. We have tried many different things during these recording sessions, and there have been a few moments of full panic. You can always play with things you have done before, but it has to sound modern. But we also implied some interesting limitations from the start. It was for example not allowed to play chords, everything should be a riff. And we worked with eight tracks. That could be a fruitful dogmatic. Furuholmen: – I originally wanted the album to be called Digital, as a contrast to our previous album Analogue. We are not 20-year-olds anymore, but we don’t have to sound like an old people’s home either. I don’t want to accept that. I actually would have wanted us to go even more in a pure synth direction. That would have been a clearer statement. If it was up to me, we wouldn’t have any string arrangements on the album at all, for example. But obviously I can’t decide on everything in this band. Waaktaar-Savoy: – It’s difficult to write together with someone, songwriting is an internal process, not external. And songwriting and recording are two completely different things. You can “hear” how a song should sound when you write it, and you’re always chasing that feeling afterwards. It’s like poker. You’re playing and bluffing as well as you can. And you either have to continue playing, or you have to fold. And it’s a difficult thing to see a song completely changing its character through the recording and production process. It will be going through a lot of changes before it’s finished. And it’s frustrating if you end up liking the song less. Sometimes it feels like a song has had all its teeth pulled out. We could probably have done everything ourselves, without any other producers, but I guess that would have lowered each our expected lifespans by about ten years. Furuholmen: – There are many strong wills and different ambitions in this band. You need to have the sledgehammer ready, and fight for what you believe in. You have to remember that we are childhood friends, so that unfair tackle on the local football pitch when we were kids is still a part of your luggage. There’s no reason to romanticize conflicts as a creative force, or make it into something mythological. There’s a limit to everything, and we must also try to lift each other up. And the only one we can’t keep out of the equation in this band is Morten Harket. He is incredibly important to our sound. Paul and myself have to accept that. Our task in this band, and the key to a-ha’s greatness, is to release Morten’s qualities. – So how to use Morten Harket? Furuholmen: – Morten’s hubris, his operati can become overwhelming. Pushing him in a rock direction doesn’t necessarily work either. Morten as a rocker lacks a certain credibility, he lacks 60 cigarettes a day and an alcohol problem. In an orchestral setting it tends to end up as schmaltzy, it becomes opera. But in the cool, distanced synth landscape he is perfect. Morten is a fantastic weapon to have in your arsenal. But he has to be used in the right way. Waaktaar-Savoy: – Morten’s voice fits in this soundscape. And I think he feels more at ease in it. In the song “Shadowside” there is a vocal range of five different keys, and few other vocalists would be able to pull that off. When I’m writing specifically for a-ha, I know what I have to work with vocally, who I can trust will achieve it. – And everyone can agree that it’s been a nice trip? 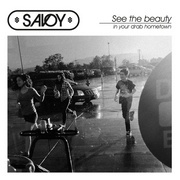 Waaktaar-Savoy: – It’s become an album which hopefully is quite enjoyable. Furuholmen: – Foot Of The Mountain is an album which makes its mark in a good way, there is more vitality here than in a long time. The album can almost be heard as a tribute to the original idea of a-ha. – And what does Morten Harket himself think? Morten Harket: – It’s been a kick. This album represents a clear decision when it comes to choosing a specific direction. We have tried to limit ourselves and returned to a more synth-based sound. That’s been a wonderful thing to do. I see it as a revitalization of us as band. This article appeared in Dagbladet, 5 June 2009.